I think that we’ve been here before, but there is no harm in an update to what is one of the biggest technology complaints. In the beginning there was dial-up (buzzing modem noise) with speeds up to 0.05mb (megabits) per second, and I think that this technology is now officially retired. Then there was broadband (DSL) with speeds up to 1mb and this was quickly upgraded to up to 8mb and in more recent years, up to 20mb. Now both of these were delivered to your house over the copper wires of your telephone line from the local telephone exchange but the speed degrades over a maximum distance of 6km, so the unfortunate ones living down a farm track near Charlton Horethorne go a pretty bad deal. Now we have fibre, or more correctly, we have fibre to the cabinet (FTTC) where super-fast speeds are delivered by fibre-optic cable to the little green boxes that have sprung up everywhere. Then the service is connected to your house over the good old copper wires. But unfortunately the speed degrades over a shorter distance of only 2.5km hence the need for loads of the green boxes. FTTC offers a huge speed hike of up to 40mb so its well worth it if its available in your area, and you can get up to 80mb if you pay the extra. So what’s next? 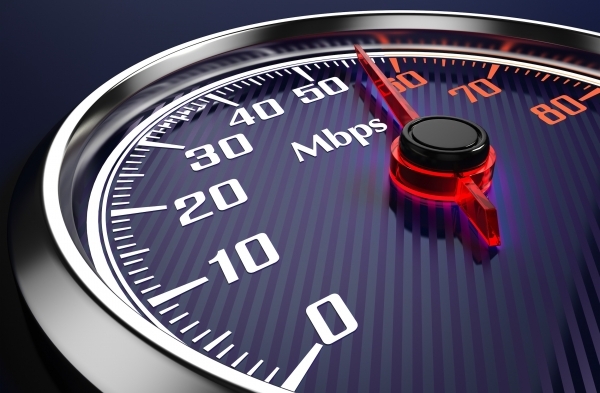 G.fast is the latest development but not yet being rolled-out with speeds up to 1gb (gigabits per second). This is still in its final development stages so don’t expect it soon. More importantly, lets take a look at what’s slows your broadband down or stops it being as fast as it could be. Distance from the exchange or cabinet I can’t change but you could always move house! Always check that you have a little filter in every telephone socket where something is plugged in. One of my recent jobs in Sherborne improved from 5mb to 15mb just by getting the right filters in the right sockets. Poor telephone wiring in your house can cause problems so if you’re still slower than expected maybe a telephone engineer can check your wiring. But probably the worst offender is you trying to run your business whilst having 4 teenage children streaming TV, movies and on-line gaming with the X-Box all at the same time. It’s like trying to share a hosepipe with low water pressure.